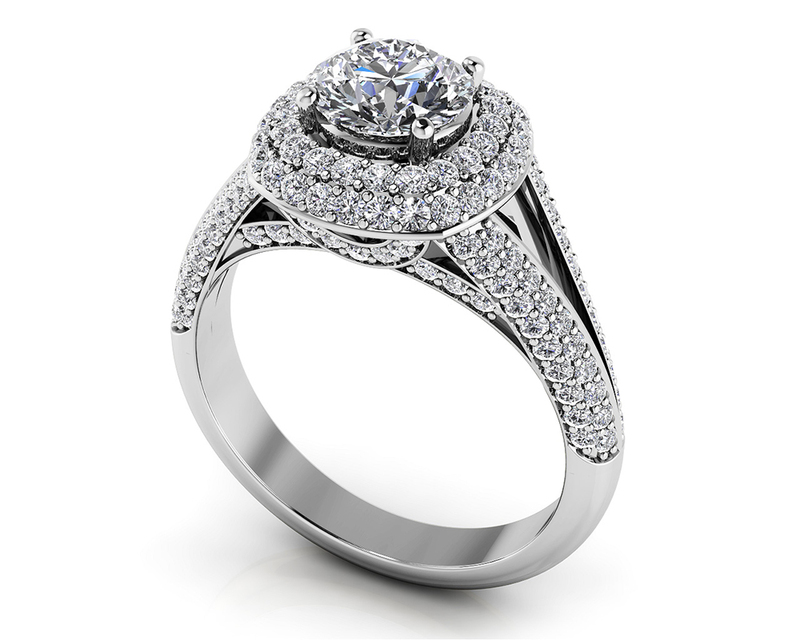 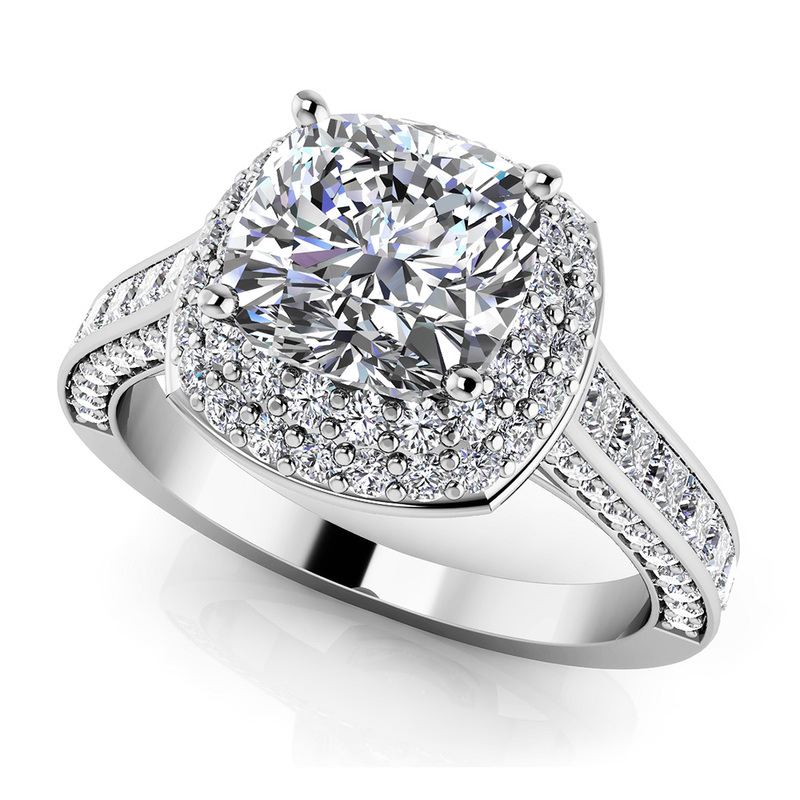 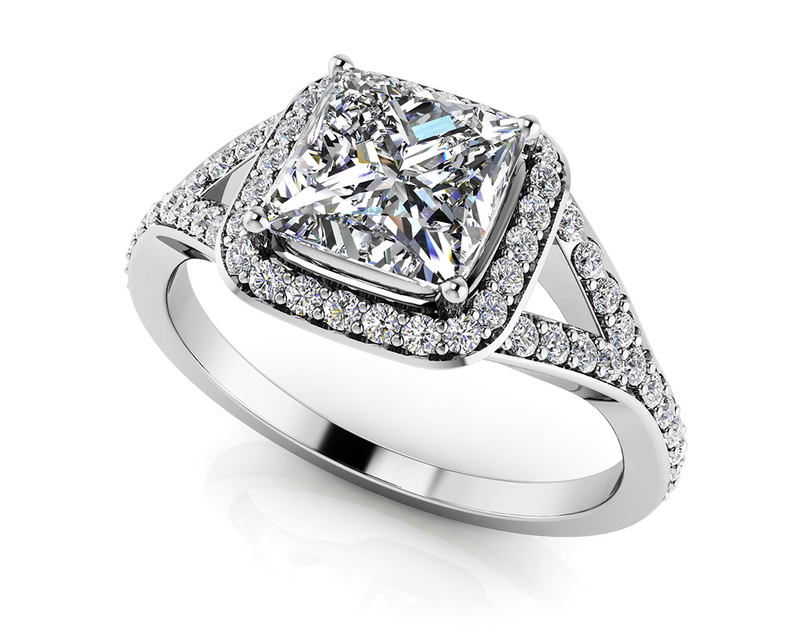 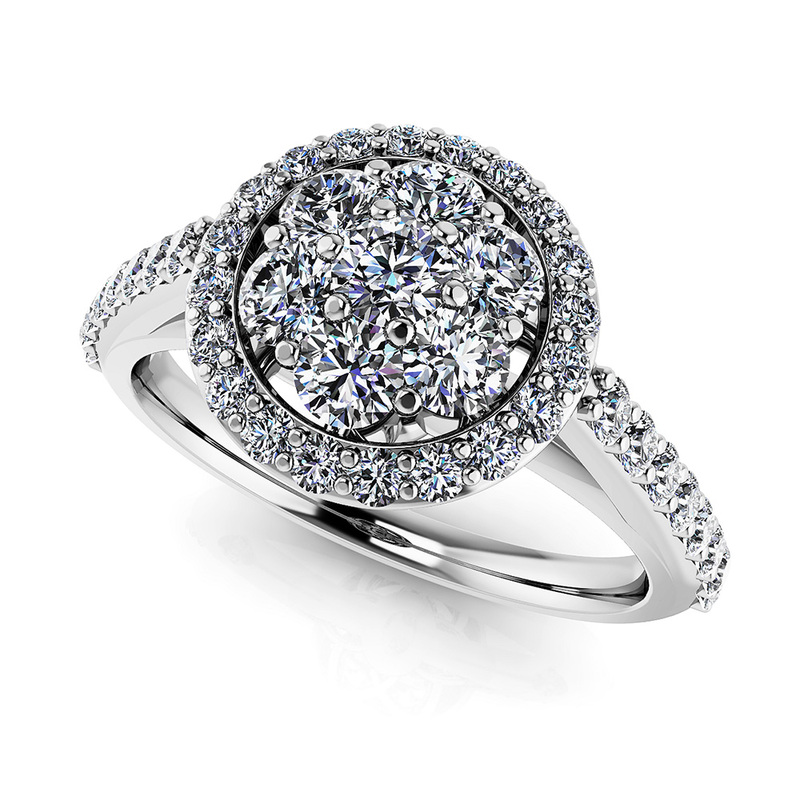 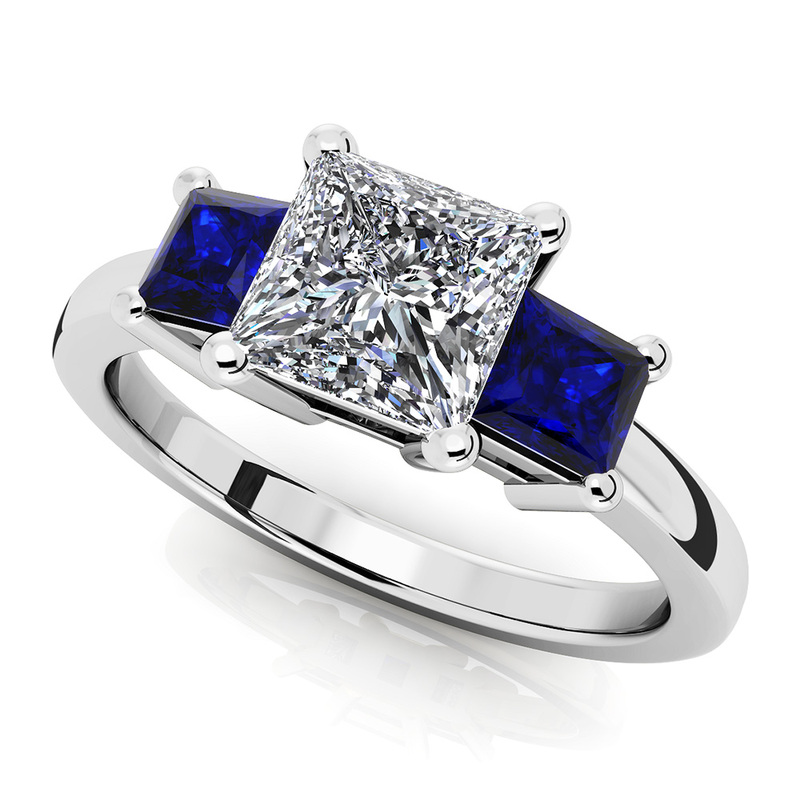 "Securely set in a 10-prong setting, these precious diamonds shine bright and round. 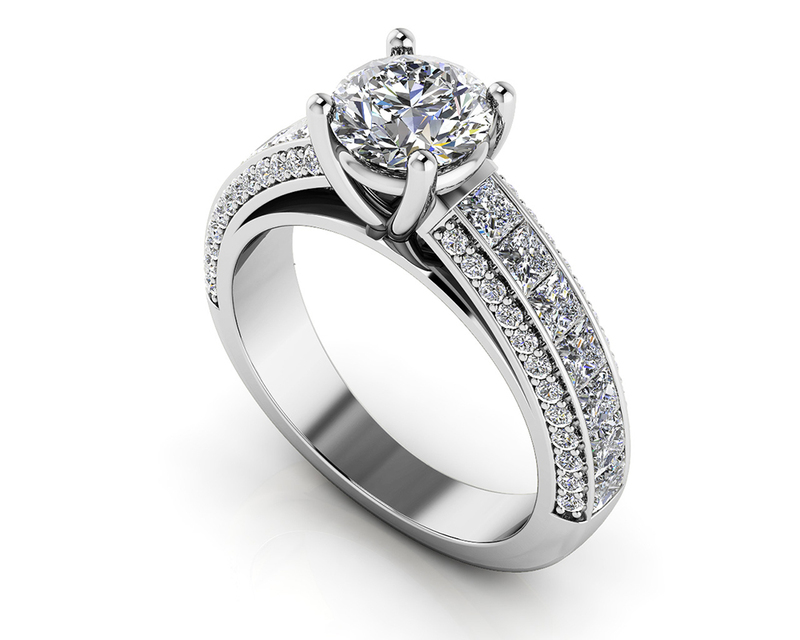 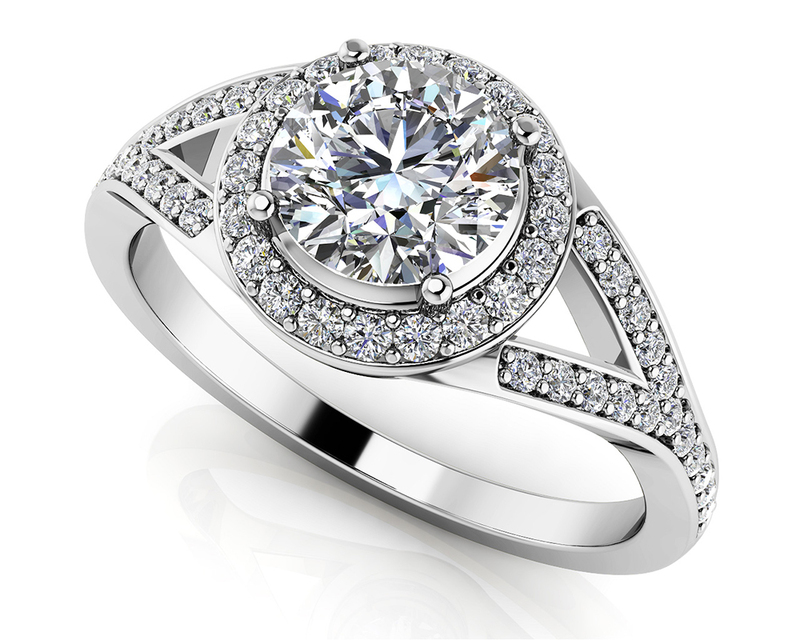 The side diamonds are only slightly smaller and lower which complements the center diamond! 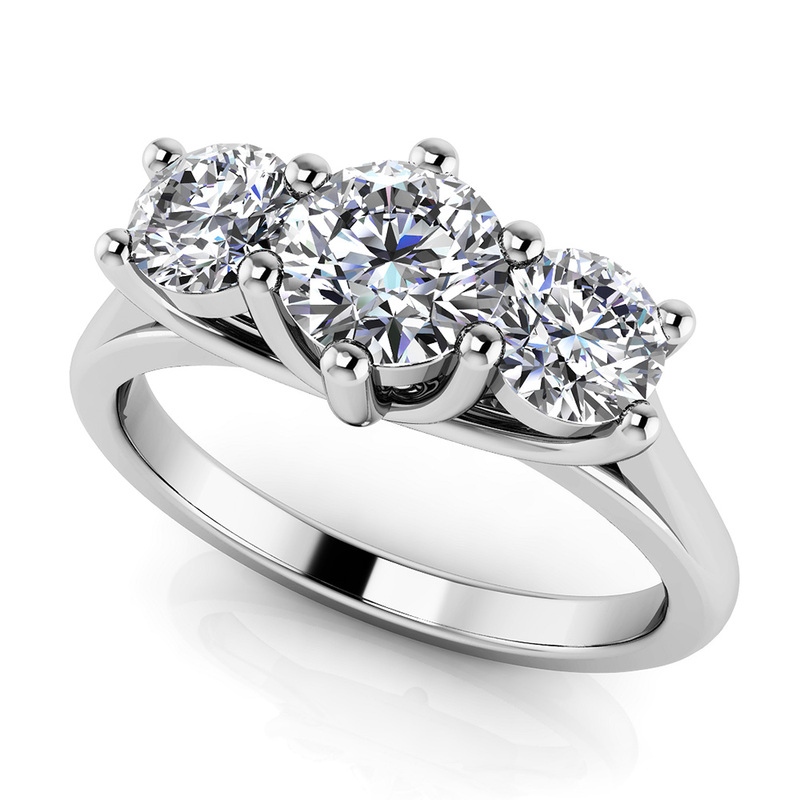 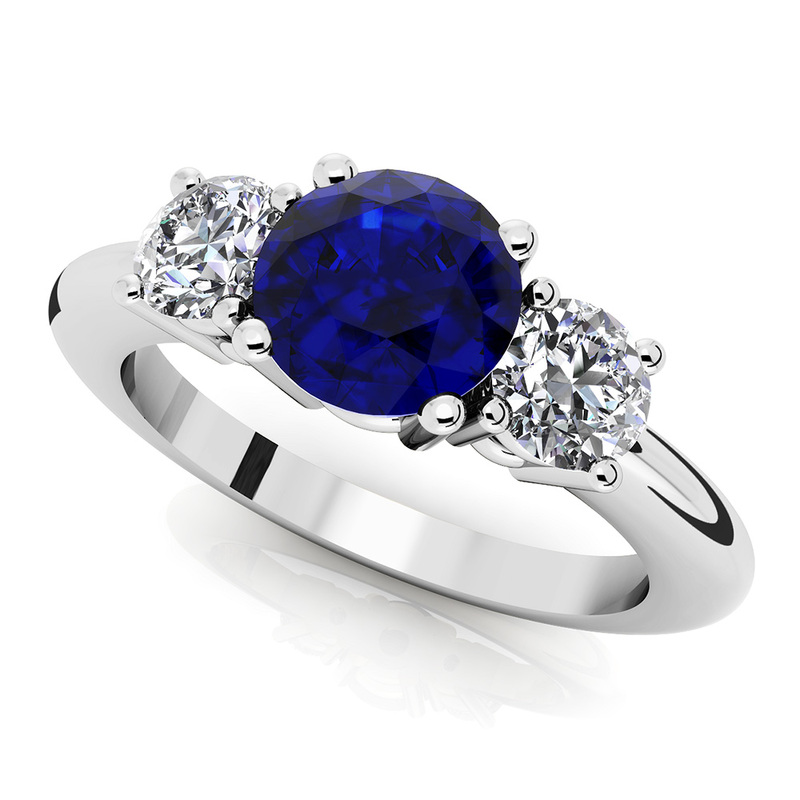 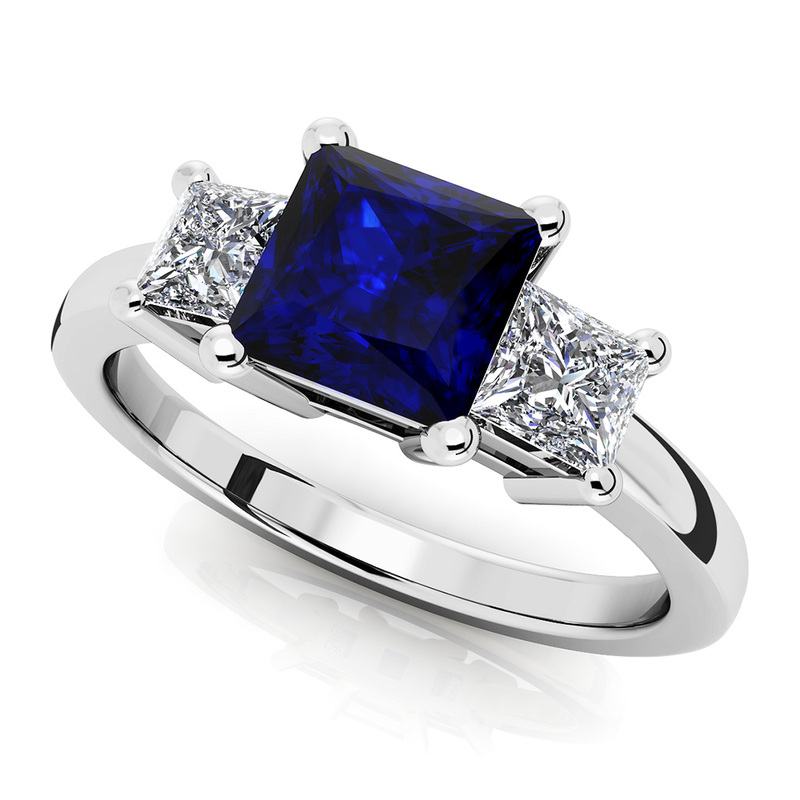 Choose from a range of 1 to 2 carat weight."